In November 2017 we founded the company Bluetosec-Technologies Ltd., named by the new wireless Bluetosec© technology, to offer new and more powerful wireless radio technologies for use in security products, smart home control and the Internet of Things. Located in UK, we started in 2018 with the marketing in UK, Ireland, USA, Canada and Australia. In June 2019, we present our new technologies to the world public on the international fair IFSEC in London. We focus on products for burglar protection, fire protection, smart home control, RV protection and security for elderly persons for help alarm. Bluetosec© is a technical evolution of the globally recognized Bluetooth LE industry standard. All our systems offer the highest possible protection against abuse and manipulation attempts according to the current state of the art. It is not possible for unauthorized persons to inject malware into the system or to use the usual replay attacks to deactivate the system. Another advantage of the Bluetosec© technology is the proven range of up to 250 m in the open field and up to 50 m inside buildings. With the new specification Bluetosec 5 LE, a 4-fold radio range is possible, double data speed and 25 percent less power consumption can be realized. 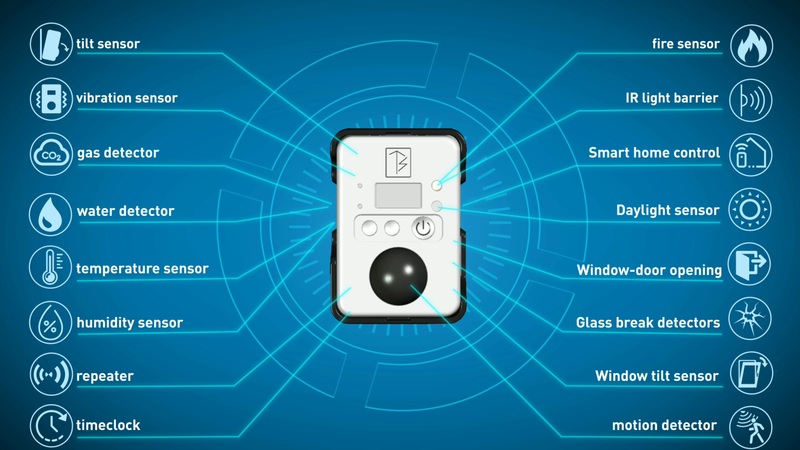 The All-In-Control-Sensor offers as first product on market up to 16 features by one single control sensor, it includes all common used sensors in security technology and includes also the smart home control to switch all electric equipment. All what people need for security, information and control is located in one matchbox sized item. The use of internet connection by wifi is not necessary to control equipment, but possible for remote control. Bluetosec© is protected by trademark and patent rights.